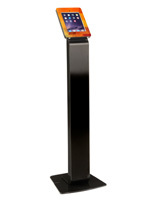 These black angled iPad floor stands make great directories when placed in the entry way of a museum or store. 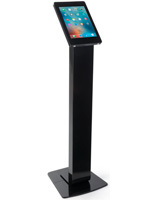 Each of these tablet holders is constructed of aluminum and available in (2) neutral finishes that blend with all manner of commercial décor. 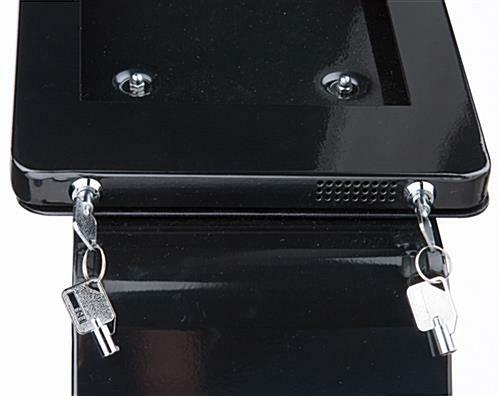 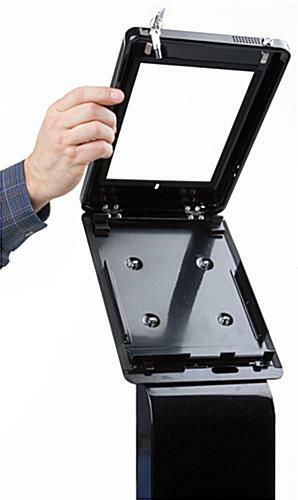 All of these angled iPad floor stands come with two keys and are dual-locking, which means your data and device are protected. 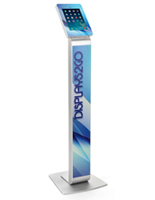 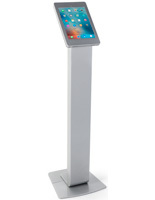 This secure pedestal system features an integrated power strip, hidden within a channel, that can charge even while your touchscreen device is being used. 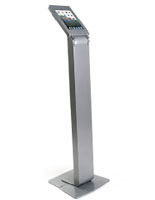 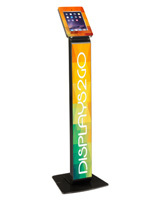 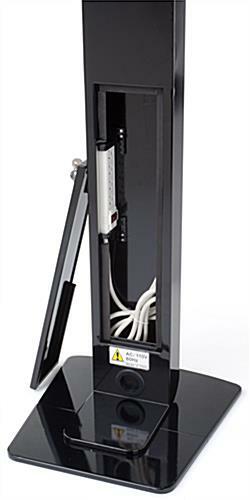 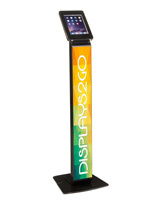 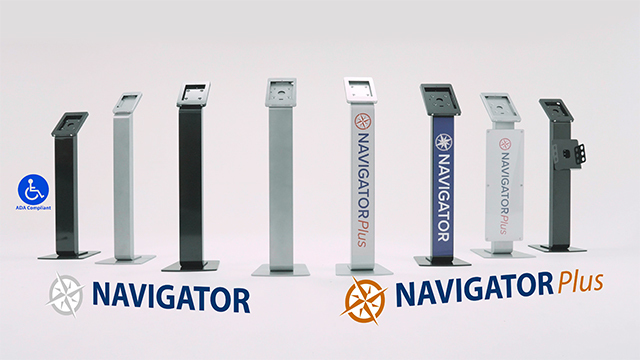 These iPad floor stands, also known as smart technology kiosks, maintain a continuous charge for all-day use.